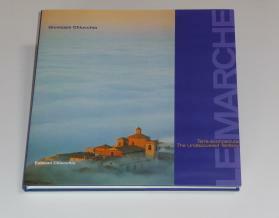 Photo book, Photographer Giuseppe Chiucchiu, 29x29cm, 204 pages, 180 photos. To order by e-mail please fill in the contact form. Inquire about cost of shipping to your country. Look inside the photobook The Undiscovered Territory of Giuseppe Chiucchiù now. "Chiucchiù has gone below the beautiful glossy surface of the Ancona March, to become a wanderer and a pilgrim through familiar places he knew as a child. And for the first time he stopped at these places and entered into the souls of the people who inhabited them." (Enzo Giancarli, from the introduction to the book).